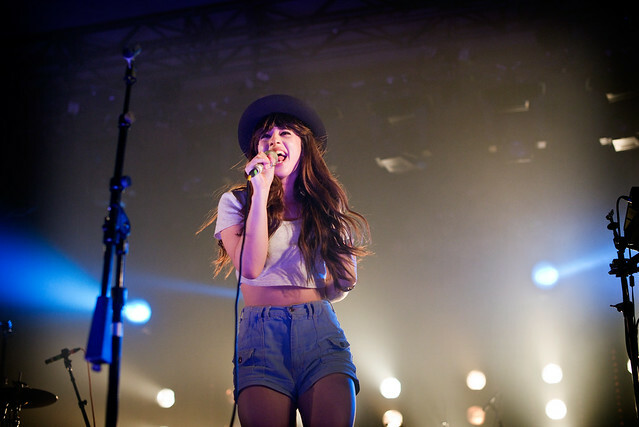 FOXES at last year's SXSW at the Hype Hotel. FOXES, aka: Louisa Rose Allen, announced tour dates for her North American tour which launches next month. Los Angeles will host her on November 19th at The Troubadour. Allen, known for her luring, seductive beats that swells in arena-ready anthems makes her upcoming Youth EP something everyone should experience. That EP will drop October 29th. Allen's larger than life voice captivates in melodic dream-pop melodies like in her single "Youth." Check out an acoustic version below.